Until now, a main obstacle in exploring submerged objects has been making an affordable, easily controlled submersible vehicle. Those that were maneuverable were often very expensive, and those that were inexpensive were typically very difficult to control. A team of researchers at MIT may have found a way around these problems with a unique new robotic fish. 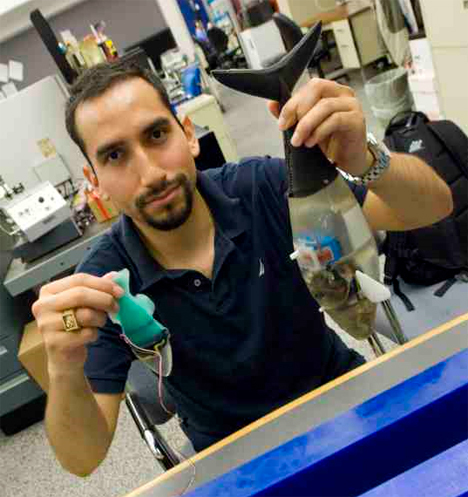 Mechanical engineers Kamal Youcef-Toumi and Pablo Valdivia y Alvarado fashioned the fish to easily move in the underwater environment, just like real fish. 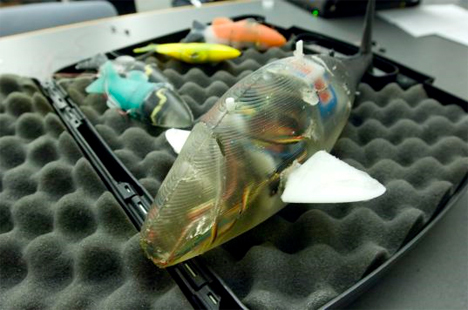 Their vision is to be able to send a whole school of the robofish to explore submerged objects. Since the fish are designed to be inexpensive and simple, the team controlling the expedition could afford to be bold in where they send the robots: as long as a number of them survive the expedition, it won’t be a tragedy for the team if some of the fish are lost or broken. 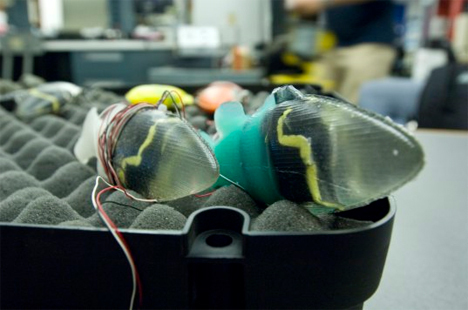 Being made of flexible polymers and containing a single motor, the robotic fish move in a way that mimics biological fish, though at a much slower rate. This movement and their small size make them ideal for exploring underwater objects. The fish currently require an outside power source and can’t travel without their power cords trailing along behind them, but the researchers hope to someday power them with smaller batteries. The team plans to extend their research to mimicking other types of natural locomotion, including land and air travel. See more in Robotics or under Technology. September, 2009.